I believe you hit the nail on the head (toque management) for the M7 because I do know for a fact that the ECM from the Factory will not allow full torque in lower gears and Tadge has confirmed this. What you described goes against the design of a belt driven supercharger and it makes no sense. 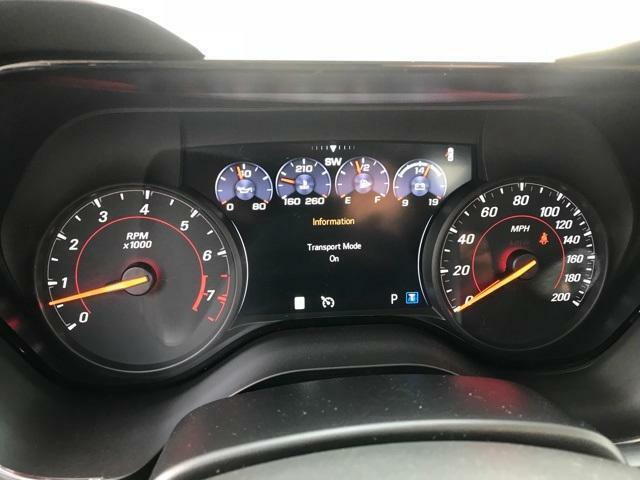 You may have to be a high performance connoisseur to notice....my brother noticed the exact same phenomena in his SC CTS-V so I know for a fact that this exists, I'm just not in denial. I have both and there is no comparison and I would think that the more accurate comparison would be between a C7 Z06 and the C6 ZR1, at least the LS9 won't eat itself over time like the LS7 will. From valve guides, valve drops, to rod material coming off and wiping out bearings it's only a matter of time and it's a guarantee that the LS7 is going to fail earlier than you would like. The LT4 won't do that and about the only thing people can complain about on the C7 Z06 is overheating, which 95% of the people won't run in to especially if they have the manual and the available secondary radiator. The C7 Z06 is better in literally every way except for straight line high speed aero which is why I'm building my C6 Z06 to be a quarter mile/half mile car. Torque management existed dating back to the days of the C5 and your C6 is not excluded. I do not experience the issue you describe. Last edited by rbartick; 01-08-2019 at 11:45 AM. you might be referring to the a8. A8 has that to limit wheel spin off the launch. That's why it has slightly better 0-60 &1/4 times vs the m7. I never experienced the hesitation you're talking about. But then again I have a ptb and bms filter so maybe that helped. Coming from a C5 I thought the Steering Wheel was an improvement. Never looked at a Cobalt so don't know what kind of wheel they had. 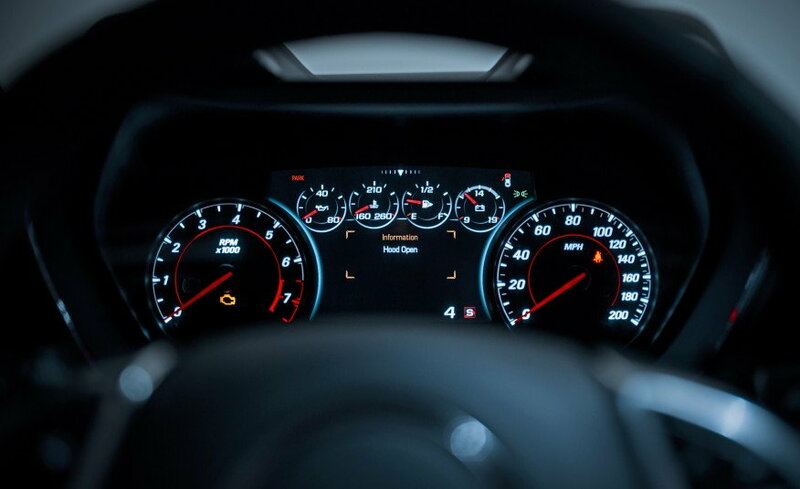 The biggest disadvantage to the instrument panel was the inability to display coolant temp, oil temp, oil pressure, voltage and speedo in digital format. The other problem with the gauge location was it seemed to be in a shadow all of the time when driving around a track in bright sunshine. That meant the analog dash gauges were pretty much unreadable. Had to suffer from the 1990 C4 through the 2013 C6 without being able to select a digital format for those gauges. The C7 has addressed this to a large extent. 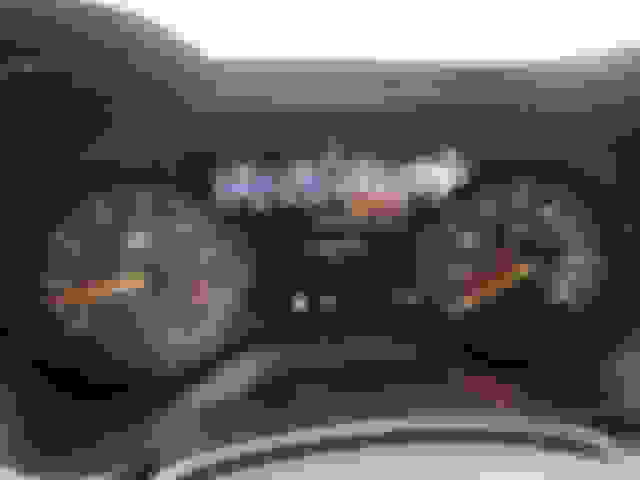 The only gauge that needs to be analog is the tach since it changes so fast it would be unreadable in digital format. The leather wrapped upholstery was fantastic. It really set the car off and it got lots of comments from BMW/Porsche people who took a ride around the track with me. 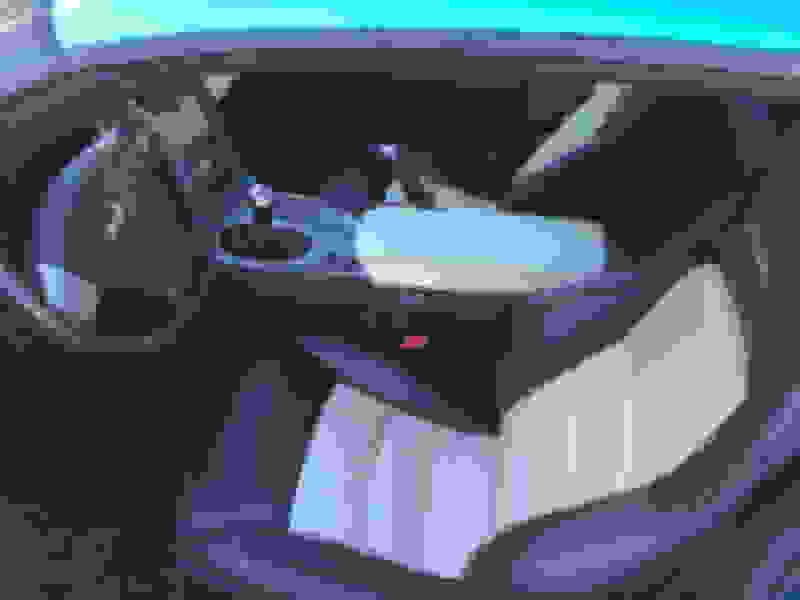 Their comment was wow, I always heard the Corvette had a bad interior, this looks great. Of course the center stack is old compared to the C7 center stack but it isn't that bad. The seats were comfortable as long as the seat bottom foam didn't tear and sink down around the frame, however, the seats provided no lateral support for the upper body. The Corvette seats went down hill in 1991 and didn't get back to where they should be until the C7 was introduced although the 84 through 90 seats provided better leg control. Your C6 looks (looked) great! It's a closer comparison to the C7 than some may think. But, GM really did focus on interior improvements. The interior is so nice in the pics above that I almost forgot that GM kept the C5 mirror, C6 is more like a C5 than a C7. The comparison of the C5 and C6 reminds me of 67'-68' model year change. :-). Personally I'm glad I skipped the C6 and tried out an LPE Supercharged CTS-V until I purchased my C7Z, I got an opportunity to drive a couple of C6 Z and decided to pass, but then again I had driven plenty of NA 422/427 C5s between 2001-2004, and the impression might not have been the same as if I tried a C6Z coming from a a stock C5Z. I can understand why some would be wowed as that is the way I felt the first time I drove an ARE 422 stuffed into a C5 that was making over 500hp. Nevertheless I prefer to be boosted any day. Unless of course driving EV. 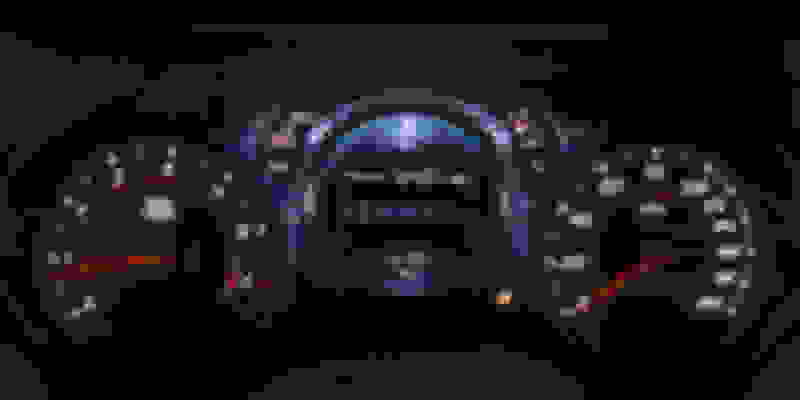 Last edited by Shinobi'sZ; 01-10-2019 at 10:27 AM. The EXTERIOR comparison is coming up. It should be posted TONIGHT. tony , your points are valid and I kind of feel the same way about the looks. The younger folks gravitate towards the c7z. And my wife feels the c7z is a much better looking car. For me the c7z looks are akin to This Seinfeld episode - sometimes it looks good and other times I think ewwww! The c6z always looked good no matter what. Last edited by Mr. Gizmo; 01-13-2019 at 09:30 PM. LOL...a classic episode....and YES...it does somehow seem that way! Thanks for the compliment. When I took these pictures I had just finished the 2015 track season and it took a lot of work to get it clean. That linen interior could get very grungy when it had sweat soaked, sunscreen covered dirty arms all over it. All stock. Standard 3LZ interior. When I first looked at C6s I had said I wasn't going to pay $4K for a leather wrapped interior then this used car came up with no difference in price between it and an equivalent 2LZ and I really liked it the instant I saw the car. 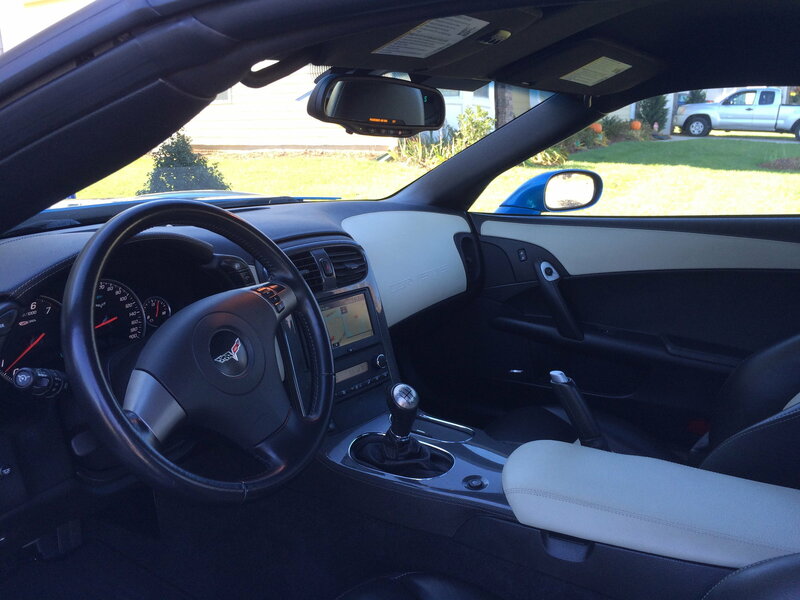 One of the major things I was looking for when I purchased the C7Z was the 3LZ package because I wanted the leather wrapped interior. Last edited by Bill Dearborn; 01-15-2019 at 04:09 PM. 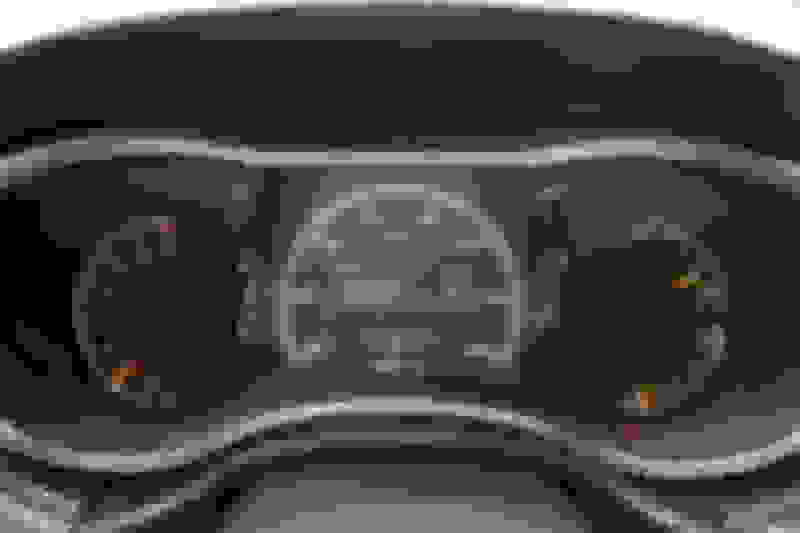 I agree that the analog speedo is a bit of wasted space. 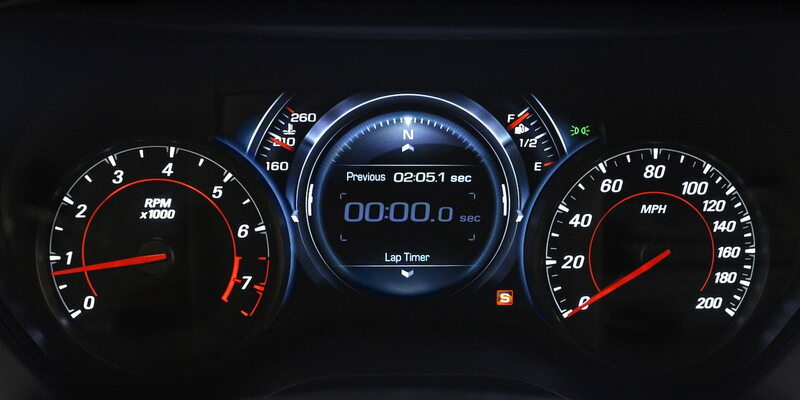 I guesssince you can turn off the digital speedo, they wanted you to have the ability to see your speed if you do so. 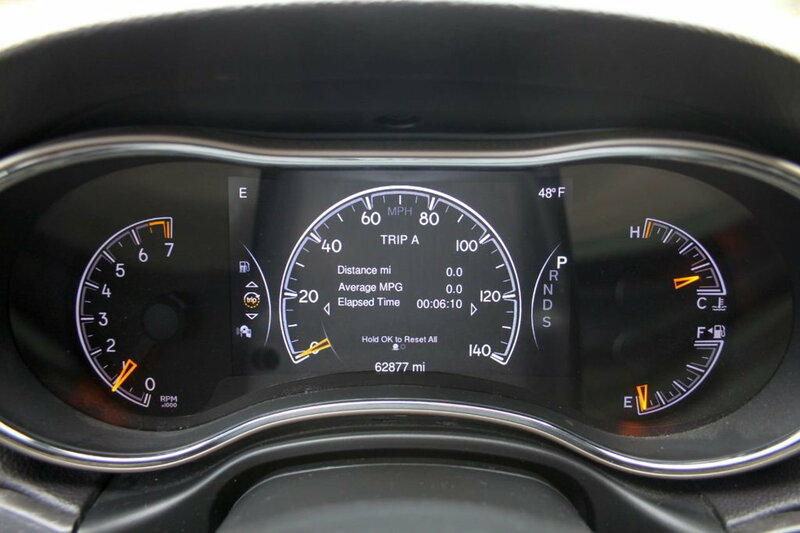 I wouldn't prefer an analog tach there, but definitely oil and water temp gauges to mirror the fuel and boost gauges on the right. 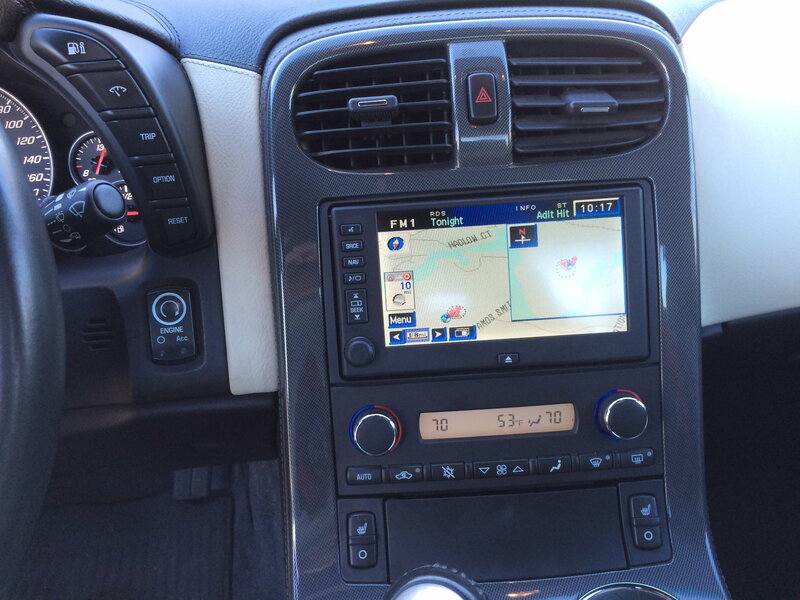 I'd like an analog tach on the left with a configurable display in the middle, like this Jeep setup. I also prefer the Camaro setup. If I didn't know that center display was a lcd screen, I'd think it was from a 1989 vehicle. Dear god. We all have our opinions, but I personally prefer the tach in the middle, not to the side. The speed of the car is less important than the speed of the engine, but I suppose that's only if you're concerned with redline and shift points. If you're just commuting, I suppose the speed of the vehicle matters more. But then, who buys a vette as a commuter car? I DD mine, and I do drive it to work, but I DRIVE it to work. I don't "commute"
If I didn't know that center display was a lcd screen, I'd think it was from a 1989 vehicle. That was just a quick example I found online. 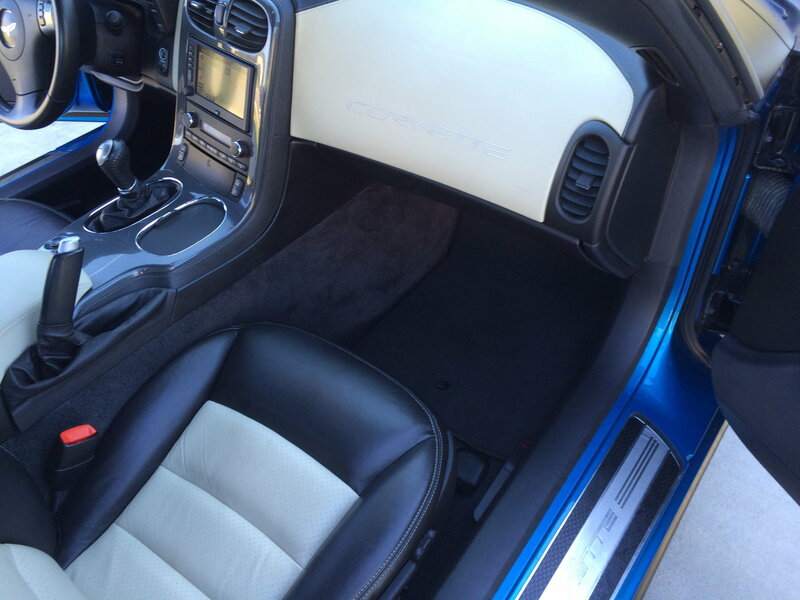 The Camaro's center display can obviously be changed without asking God for assistance. I was more referring to the jeep display. I don't like the camaro's either, as I still prefer just a big tach in the center with a digital speedo and no tach/speedo to left or right. I feel like it's the most useful layout. But again, just my opinion. It's not any better or worse than yours. a dct as a direct replacement to that using it as an example will be a total game changer. How slow is it on upshifts at wide open throttle? That is when it counts. Part throttle instant shifts are non interesting. I only hear people complaining about upshift times when they are driving at part throttle. Very few ever have the cajones to hold the pedal to the floor long enough to get any wide open throttle upshifts. As far as downshifts as long as they are the same speed as somebody shifting a manual transmission and predictable that is sufficient. Previous transmissions weren't very predictable when the shift would happen. On the C5 and C6 there were times when a driver would initiate a downshift at a particular point in the braking zone and the transmission would sometimes downshift as soon as the shift was initiated and sometimes it wouldn't downshift until after the driver got back on the throttle exiting the corner and the sudden downshift at the wrong time would break the rear wheels loose and spin the car. If the timing is always the same then the driver can predict where the downshift will occur and plan accordingly.